The street names Vimy and Dieppe reference two bloody battles from the first and second World Wars in which Canadian soldiers distinguished themselves for their valour and courage. Often regarded as Canada’s greatest and most tragic military experiences, as street names they have become part of a nation-building agenda, ensuring posterity for moments in Canadian history, now consolidated in collective memory. As time elapses however, these names for many people have become increasingly abstracted from their historical context. 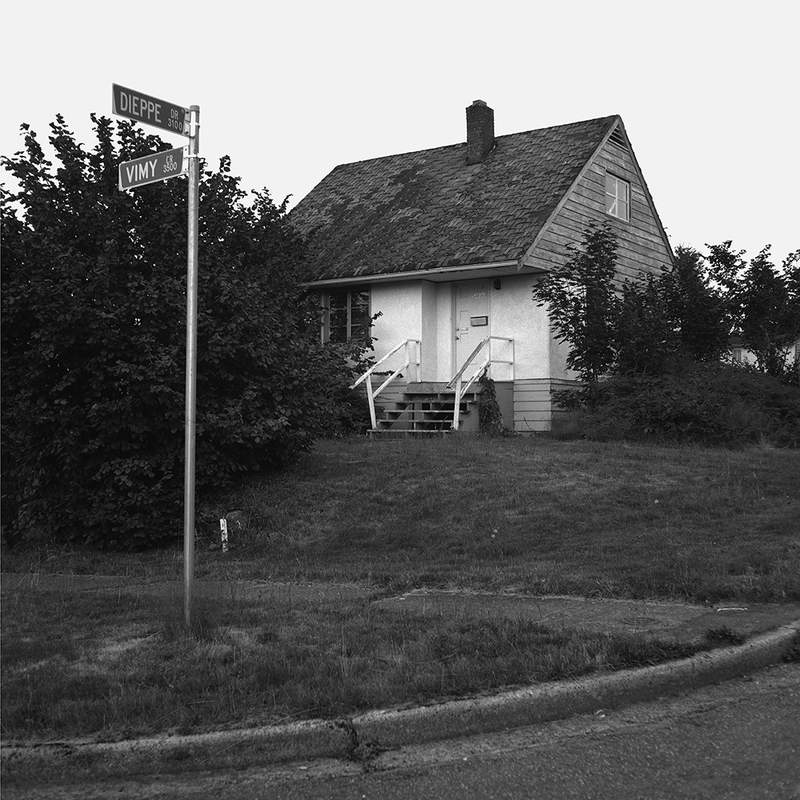 Using black and white documentary-style photography of this street corner in Vancouver, Terris locates a contemporary scene in an uncertain past. His use of an earlier photographic form evokes a long history of factual visual recording. Through this historicized image of commemorative street signs, Canadian military history is framed within a timeless popular consciousness, emphasizing the indeterminate nature of both history and memory. 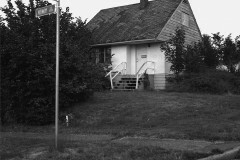 The house in the picture is like those made available to returning servicemen and their families after World War II. In a deteriorated state, a white survey marker on the lawn suggests that redevelopment may soon take place. Then the vanished house, no longer providing the historical connection to a world war, will encourage the growing amnesia the street signs have already begun to reflect.